Early 2016 South Endeavour was awarded an $80,000 grant by the Australian Government's 20 Million Trees program for our major rainforest revegetation corridor project at Dirrans End. The grant will cover around one third of the cost of planting and maintaining a minimum of 27,000 trees over the final 8.5 hectares of the corridor. In March/April we planted out the first 1.5 hectares under this project with a further 3.5 hectares to be planted this wet season and the final 3.5 hectares the following wet. Already over a hectare has been planted this year with significant assistance from Conservation Volunteers Australia. While it would normally be too dry to plant at this time, we have a bore and a 60,000 litre water tank which has proved invaluable in watering the trees in. So far these little trees are looking very happy in there new home! destocking 11,000 hectares of river flats and associated hill slopes, around 40,000 hectares in total, to allow for the recovery of perennial grasses to help slow the rate of erosion and to help prevent cattle pads turning into gully producing water courses. construction of head drop structures in the form of engineered rock shutes for a small number of young gullies with the potential to become major sediment sources in the future and which are uunlikely to be controlled by other means. 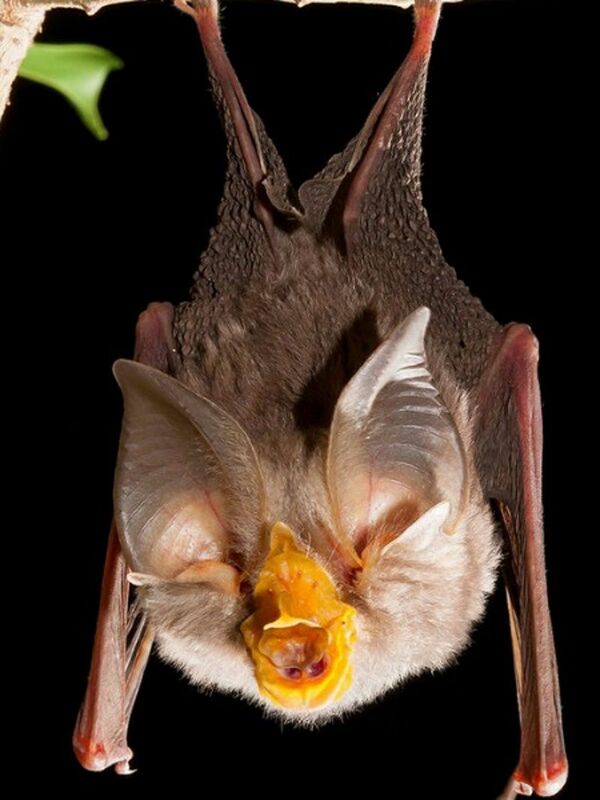 Queensland University of Technology researcher Dr Roger Coles has confirmed another record on our Kings Plains Reserve for the EPBC listed critically endangered bat Saccolaimus saccolaimus nudicluniatus (Bare-rumped Sheathtail Bat). The bat's distinctive sonar call was recorded on the Normanby River. This is a very significant westwards extension of range for this species. Roger also recorded the EPBC listed endangered bat Rhinolophus phillipenensis (Greater Large-eared Horsehoe Bat) in the forest along the river. These discoveries further underline the biodiversity importance of Normanby River which is the major north-south corridor in the southern part of Cape York Peninsula. It has never previously been surveyed for bats. The nationally listed, Critically Endangered bat Saccolaimus saccolaimus nudicluniatus, the Bare-rumped Sheathtail Bat, has been found at our Kings Plains Reserve. 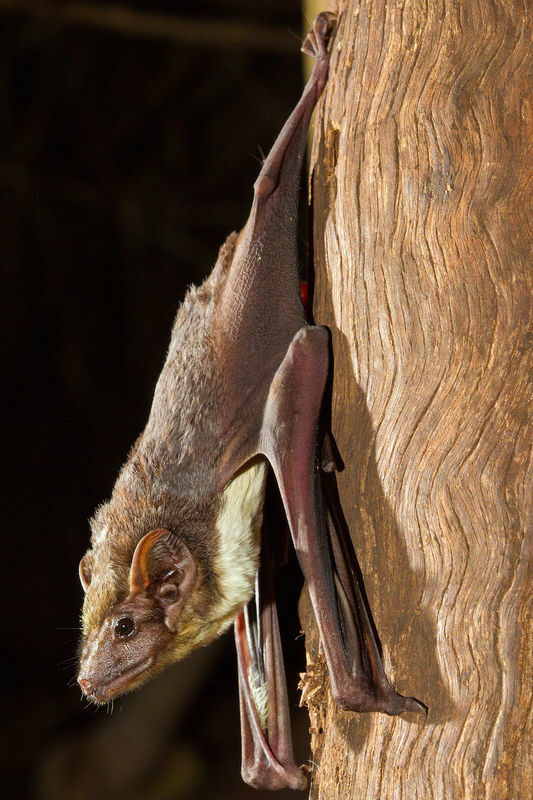 Over the last two years bat experts Dr Roger Coles and Olivia Whybird have been surveying the very diverse bat fauna on Kings Plains and in the Melody Rocks caves on neighbouring Alkoomie. They have so far recorded over twenty species using both very high resolution ultrasound recorders and a range of bat traps. After a number of tantalizing indications that Saccolaimus saccolaimus nudicluniatus was present they have finally been able to confirm without doubt, the presence of this little bat, so rare that very little is known about it! (See species profile here). They are now planning to extend their search to confirm the previous indications of this bat and try to determine the limits of its range, as it is believed to be restricted to a relatively narrow distance from the coast. 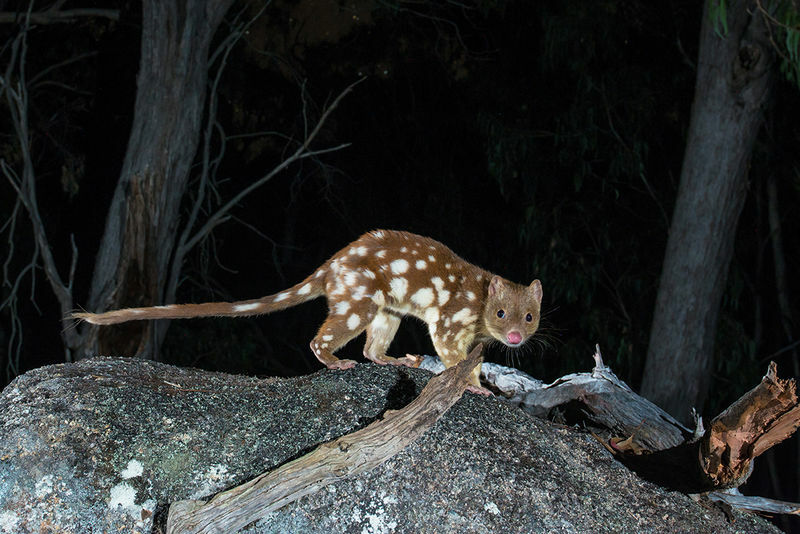 Bezzants Lease is proving to be a stronghold for the endangered Spotted-tailed Quoll. Zoologist and noted wildlife photographer Bruce Thomson captured this spectacular image last weekend. 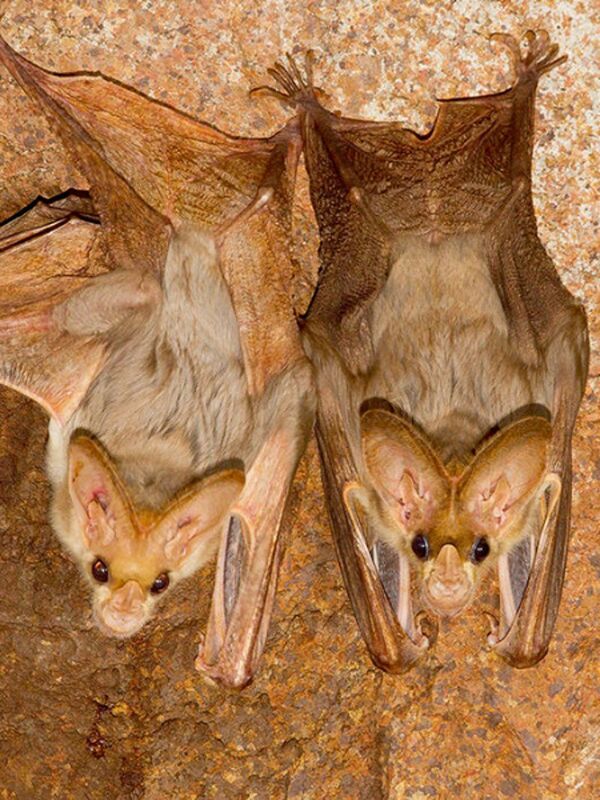 Significant populations of two nationally endangered bat species, the Greater Large-eared Horsehoe Bat (photo below left) and Sermon's Leaf-nosed Bat inhabit the Melody Rocks area. Another bat species that is listed as vulnerable in Queensland, namely the Ghost Bat (photo below right), also inhabits the area. The survival of these local populations rely entirely on the integrity of the limestone karsts. Unfortunately the Queensland Government is considering an application to mine the limestone. Click on link to see statement. Legendary North Queensland botanist, Keith McDonald, has been working on Kings Plains for the past eighteen months with just about every day bringing new discoveries. Here high on the inaccessible Laura Sandstone plateau between the Normanby and Deighton Rivers he found a previously unmapped regional ecosystem. The Spotted-tailed Quoll is the largest remaining native carnivore on the Australian mainland. Unfortunately it is a nationally endangered species inhabiting only a small part of its former range. We placed two baited camera traps on our Bezzants Lease reserve in northeastern NSW hoping to photograph quolls. The small white canister contains chicken meat. The cameras were left out for three weeks. Nothing happened for the first nine days and then the quolls appeared, presumably as the chicken meat became smelly enough to attract them! We captured images of four separate individual quolls (you can tell them apart by the pattern of their spots) suggesting that a healthy population of this endangered animal is present on Bezzants and we aim to keep it that way by protecting their habitat.